I have been blessed by many friends during this birthday celebration month. I want to share with you over the next few days some of the thoughtful and beautiful gifts I received. My friend, Joyce, gave me this pretty pincushion. The picture doesn't show the detail. The felting of the flowers is exquisite. The little leaf pin is adorable too! My friend, Char, gave me this vintage pincushion. Holland, MI is not too far from us. It could have been made as a souvenir back in the day. Do you see the little thimble in it's holder? Such a charming shoe. It measures about 4 1/2 inches from heel to point. What a treasure! I hope this finds you enjoying your Saturday. Yesterday it was 41 degrees, all the snow melted and the sun was shining brightly. We woke this morning to a blanket of snow and cold temps, but the sun is still shining! Beautiful! What lovely gifts you recieved!! That must have been nice waking up to a fresh blanket of snow!! Love your gifts Renee.I love the pincushion in the teacup.. so adorable. Great gifts for you!!! Handmade gifts are the sweetest. What lovely gifts! You have very dear friends who take the time to give you gifts that are unique this way. 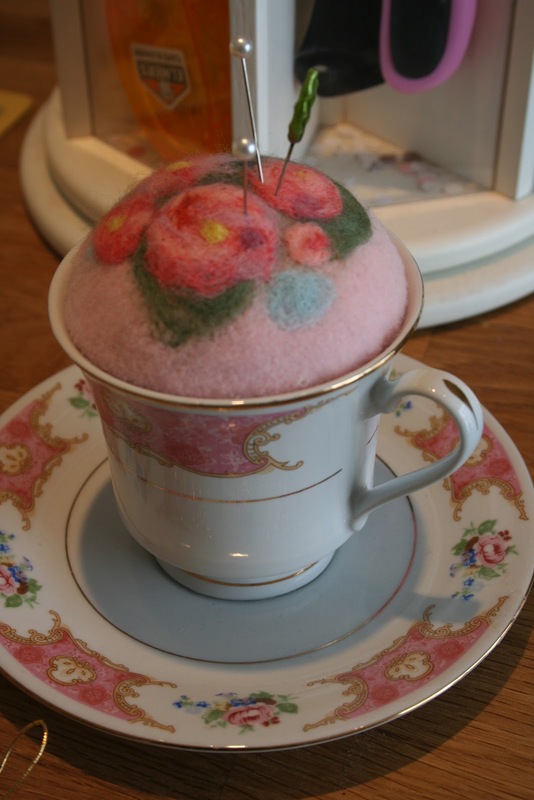 I have come to love pin cushions and am wanting to have a collection for my sewing room. I already have a couple that I bought...they aren't old but are darling..a bit on the primitive side. I am looking at making my own now. What nice gifts to recieve. I keep trying to make tea cup pin cushions. But I never like how they turn out. 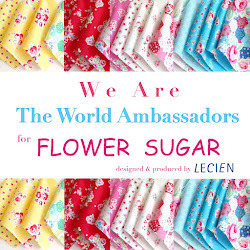 I just wanted to let you know I awarded you on my blog :) I hope that your day is going well! !